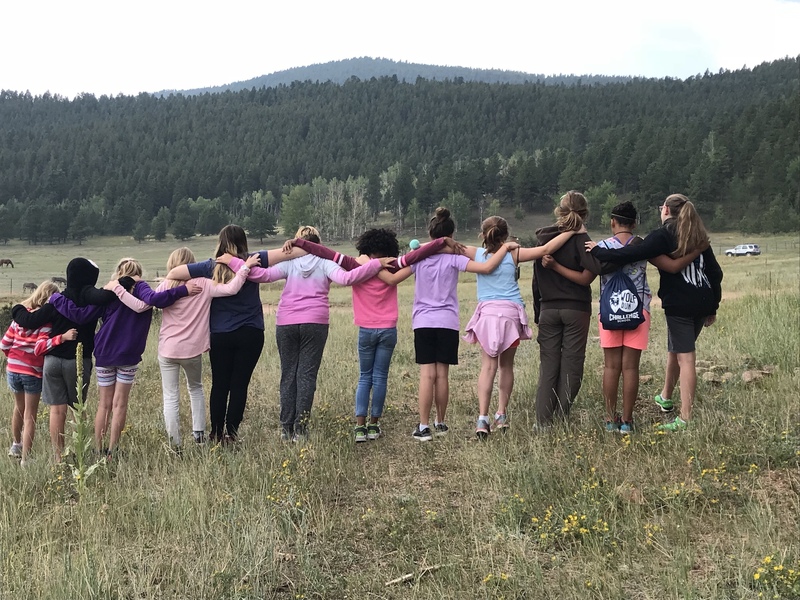 As we head toward the finish line of a successful and memorable Girl Scout year, remember that your girls’ journeys have just begun. 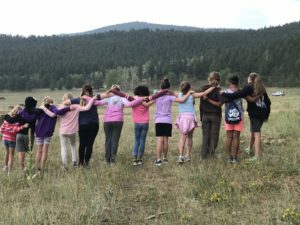 Come back next year for what promises to be another season full of unmatchable adventure at a place where girls can always take the lead, not stand in the background. 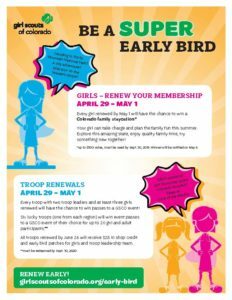 Any girl renewed by June 15, 2018 will receive a free Early Bird patch . Any troop that has completed the Annual Troop Report for this membership year and has two, unrelated Troop Leadership Team members renewed by June 15 will receive a $25 credit to the Girl Scouts of Colorado Shop.